University of Alberta researcher Christina Engels has discovered how to extract a compound from mustard seeds that can protect against food spoilage. Engels recovered a particular compoundsinapic acidfrom mustard seed meal, which shows antibacterial effects against such strains as Staphylococcus aureus, E. coli and Listeria monocytogenes, all of which can cause grave illness and death in humans. Canada is the world's largest exporter of mustard seed. The results published recently in the European Food Research & Technology journal. Engels' isolation of sinapic acid lends a useful function to mustard seed meal, which is the product left over after the seed is pressed for its oil. 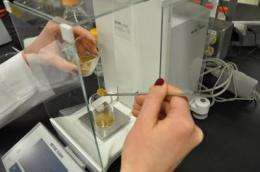 While the oil can be used in making biodiesel and in some Asian markets as cooking oil, "the defatted seed meal left over is currently of little economic value," said Engels, who conducted the research to complete her PhD in the U of A Department of Agricultural, Food and Nutritional Science. Since most companies don't have the intricate technology required to sort through the many compounds found in plant extracts, the discovery makes it possible to quantify the bioactivity of the extracts with standard instrumentation. "That means the mustard seed meal can be used as a source for natural food preservatives," Engels said, and could mean more consumer choice. Turmeric, or mustard, has been used as a food preservative for thousands of years by civilizations lacking salt, which was as expensive as gold.